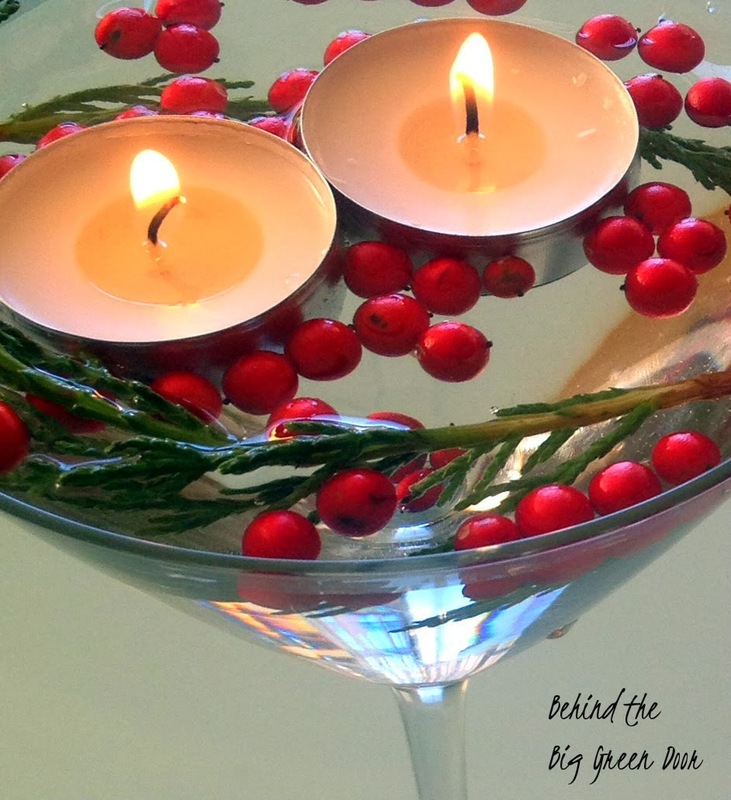 For this centerpiece all you need is a martini glass, a few berries, greenery and tea light candles. 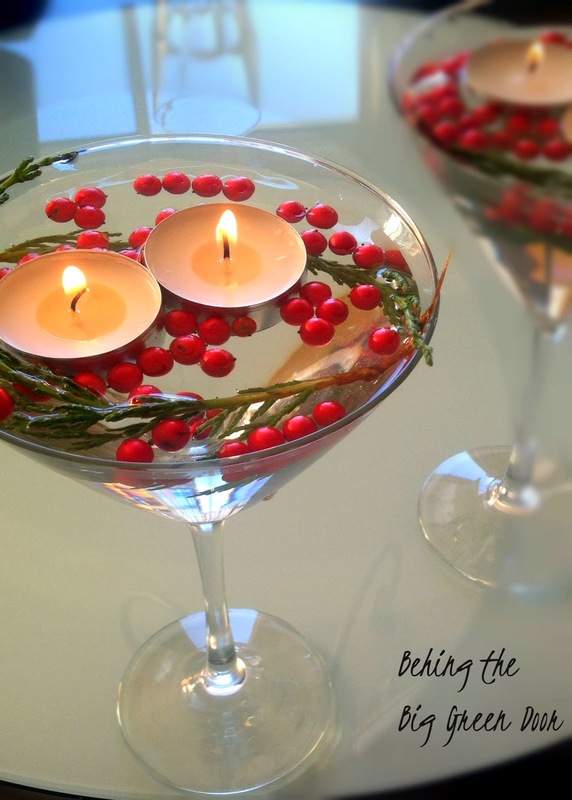 Combine the berries, greenery and candles into the martini glass and enjoy! Here's a centerpiece I made last year. It was so simple to make and was from things around the yard. Want to recreate this. 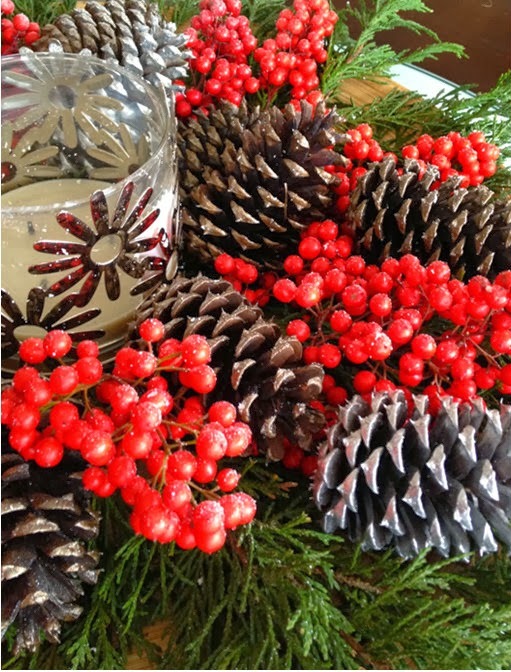 Grab a big bowl, a candle holder, greenery, berries, pine cones, spray paint, and faux snow spray paint. For detail on how I exactly made this visit HERE. Both centerpieces were made from things in the yard so it was of no cost to me. What DIY centerpieces have you made?